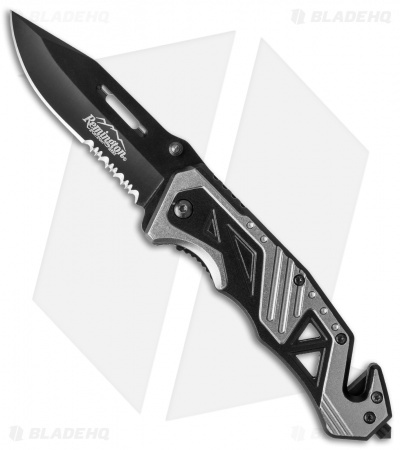 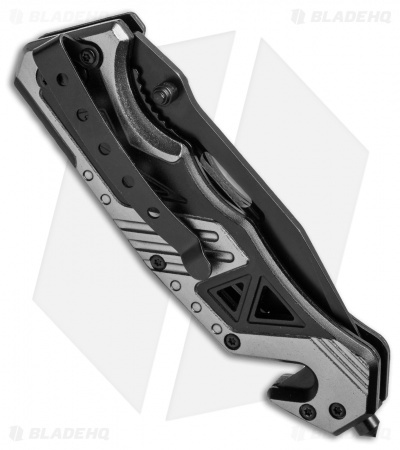 This Remington Rescue Knife is a fast action spring assisted folding knife equipped with a strap cutter and glass breaker tip for emergency situations. The blade is made from black coated 440 stainless steel and is partially serrated to make quick work of cord or rope. 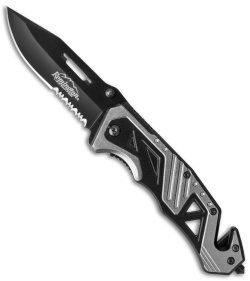 A lightweight aluminum handle and deep carry pocket clip make this an excellent EDC knife.